Mission critical communication that’s fast, effective and reliable. An advanced IP-based integrated voice and data communications system, the Vehicular Integrated Communications System (VICS2-US) is designed to facilitate workgroup communications in both tracked and wheeled combat vehicles. 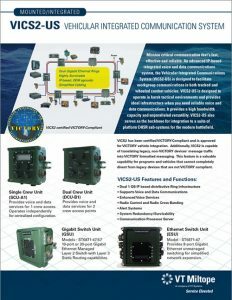 VICS2-US is designed to operate in harsh tactical environments and provides ideal infrastructure when you need reliable voice and data communications. 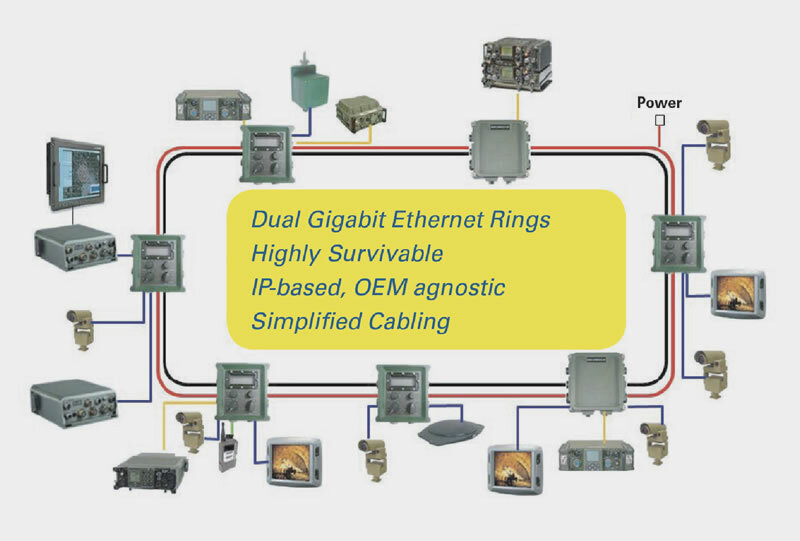 It provides a high bandwidth capacity and unparalleled versatility. VICS2-US also serves as the backbone for integration to a suite of platform C4ISR sub-systems for the modern battlefield.